Students have the option to access one of the largest online research libraries. This allows students the opportunity to utilize resources that the courts, judges and attorneys use on a daily bases for researching cases and updated information. The online library has additional study materials; tutorials, articles and information with updates on case outcomes and new court or case decisions nationally and internationally on a regular base. This allows students to have access to the most current information available when completing research. The library also provides resources for students to complete self-study examinations with references for tapes and/or additional study books and materials. The low yearly rate for access can be a tremendous benefit to students in time, learning and research opportunities. 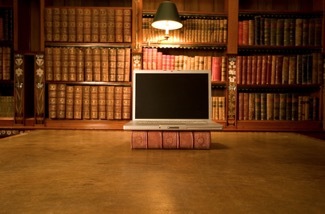 Utilization of the online library will teach students how to research options that attorneys and judges use daily. The Novus Law School Textbook Program is for the core curriculum only and is provided through the Novus Law School Lending Library for all core courses. Specialized law books for the Final Project or Non-Core Courses may be purchased from the University bookstore at University rates. All law books borrowed from the University Lending Library are to be returned or purchased to Novus Law School within 120 days. Overdue law books are charged current University price. Students may be granted additional time or extensions by completing a textbook extension form prior to past due time limit and having it approved by the Student Services Department. In no event shall extensions be granted for longer than an additional 120 days.